The book started as an attempt on my part to combine my interests in modern American and European history. 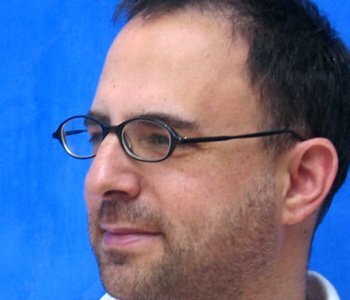 I was trained in both fields but didn’t want to write on just one or the other; I felt that the kind of historical issues I wanted to focus on were transatlantic in nature. I settled on the idea of writing about the Sacco-Vanzetti affair—as opposed to their case—because it represented a story of how American, European, and other international concerns intersected at a particularly combustible and fascinating moment in history. The period after the First World War was marked by the rise of the United States to global power, while the European powers went into decline. At the same time, many Americans retreated in the wake of the war into an isolationalist, often virulently anti-foreigner mindset. Europeans, in turn, were increasingly nervous about American power and the way the United States wielded that power internationally as well as domestically. The central and dominating place of the United States in the world, a fact of life that we have been taking for granted for decades, was a new development back then, and I wanted to examine what kind of reactions and responses it triggered as it was unfolding. This was really a world in flux. What I found in the course of my research was that the Sacco-Vanzetti affair came to symbolize a new (and to many, disturbing) transatlantic relationship. Sacco and Vanzetti, who were themselves Europeans, were seen by many other Europeans as stand-ins for all of Europe in a future America-dominated world. The Sacco-Vanzetti affair exploded the way it did partly because of this unique timing and political context, and I wanted to see how its ramifications, which were extensive on both sides of the Atlantic, differed from place to place, and also what they had in common. When I first embarked on my research, around 2002, historians of the modern United States were beginning to talk at length about the need to study American history in global context. Particularly after the shocking events of 9/11, my cohort felt that more than ever we needed to examine the roots of how American power in the world has worked, and how people in the wider world have responded to and been impacted by it. But I found myself unsatisfied with the way many of these histories were being written. There were excellent new studies coming out every year about the ways in which America exerted its influence abroad. But I felt that the story would not be complete without looking closely at the ways in which Americans themselves responded to their country’s newfound international power. In researching Americans’ involvement in the Sacco-Vanzetti affair, I found that one of the major catalysts for its becoming a critical issue domestically was the extent of protest and debate over the case abroad, particularly (but not only) in Europe and Latin America. Americans became divided not only over Sacco and Vanzetti’s guilt or innocence, but also over how to respond to the intervention of foreigners—even just the interest of foreigners—in supposedly internal American affairs. 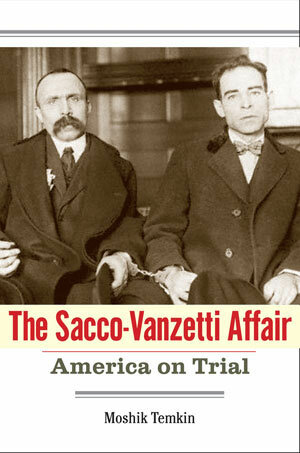 In the end, foreign pressure on American authorities—which included everything from riots in the streets, peaceful demonstrations, angry editorials, respectable petitions, appeals from heads of states—both gave Sacco and Vanzetti their chance at clemency and sealed their fate. Ultimately, I concluded, the authorities in question, both at the state level and the national level, were not prepared to spare Sacco and Vanzetti’s lives and thus appear weak in the face of foreign “subversives” and radicals, or “terrorists,” as foreign protesters were often called. In this sense, writing the history of the United States in the world means looking at the ways non-Americans responded to goings-on in the United States, and certainly at how their lives and societies were impacted by the spread of American power, but also, no less important, at the ways Americans themselves responded to these non-American responses to American power. I think that is where and how and why the Sacco-Vanzetti affair achieved its unique volume and drive.